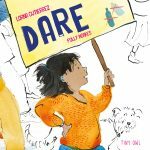 The South London Gallery Children’s Book Fair is back for its second year of fun literary events! Taking place on Friday, April 28th from 3-9pm & Saturday, April 29th from 11am-6pm, the book fair offers FREE admission to all of its programmes and activities. A few of these include dinosaur-drawing contests, creative workshops & book discussions, and talks with established authors & illustrators. 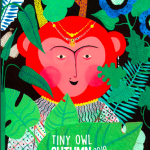 Tiny Owl will be showcasing their latest titles, and readers will be given the opportunity to explore their inspiring, diverse stories! 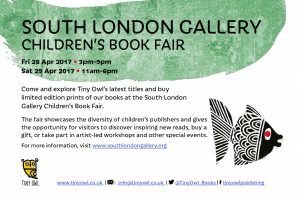 Learn more about the South London Children’s Book Fair on their website. Below we have asked Delaram Ghanimifard, our co founder, a few question about her take from last year. 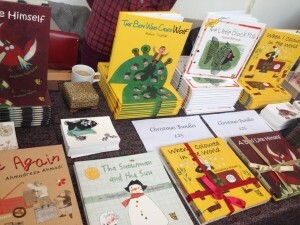 Can you talk a little bit about your experience at the 2015 SLG Children’s Book Fair? 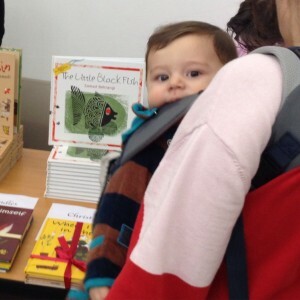 The SLG Children’s Book Fair in 2015 was our first experience with meeting our Tiny Owl readers. We saw so many people that wanted our books and had come specifically to see our titles. They knew exactly which book they were after, which was very exciting! 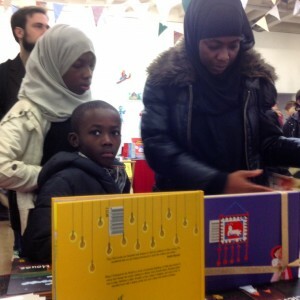 It was wonderful to see people coming from all over London to see and read our books. What was your favourite part of the 2015 SLG Children’s Book Fair? I loved everything about it! I especially loved to see parents and children looking for books, reading and enjoying the fair together. The workshop events for children were very interesting, however, Tiny Owl didn’t have any events then. In what ways did you see the theme of multiculturalism at the 2015 SLG Book Fair? The idea of multiculturalism is to see people from different cultural backgrounds show interest in learning and reading about other cultures. This is exactly what happened in the last SLG Book Fair. You could smell friendship in the air! Is there anything you would like to see at this year’s SLG Children’s Book Fair? This year the SLG Book Fair has a family reading room. 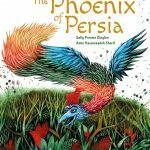 The idea is to give families a chance to read the books together and enjoy reading in a shared experience. I think this is a very good way for children and their parents to enjoy the Book Fair together..
What are you most looking forward to at this year’s SLG Book Fair? 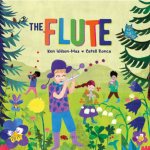 I’m looking forward to seeing more children coming to the fair this year and to see how they like our books!